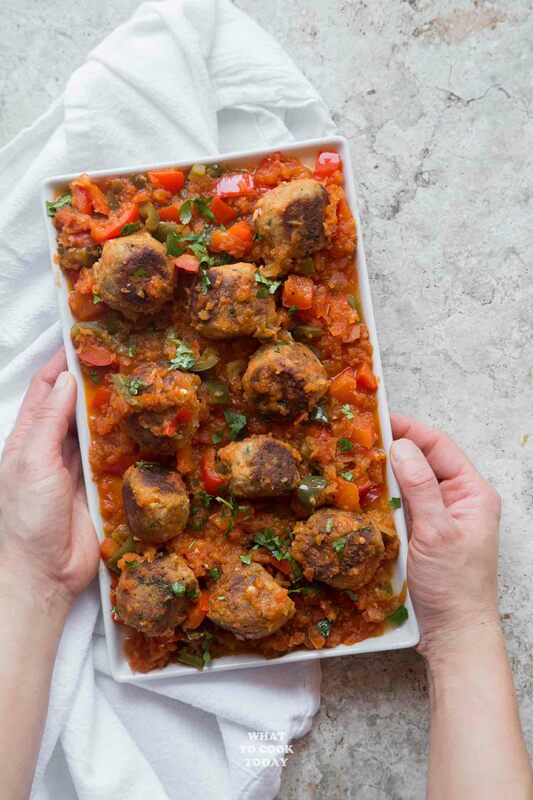 One-pan Tuna Meatballs in Green Chile Tomato Sauce – Not your ordinary tuna meatballs packed with amazing flavors and textures and served in rustic green chile tomato sauce all cooked in one pan. This post is sponsored by Bella Portofino Tuna but all opinions are of my own. 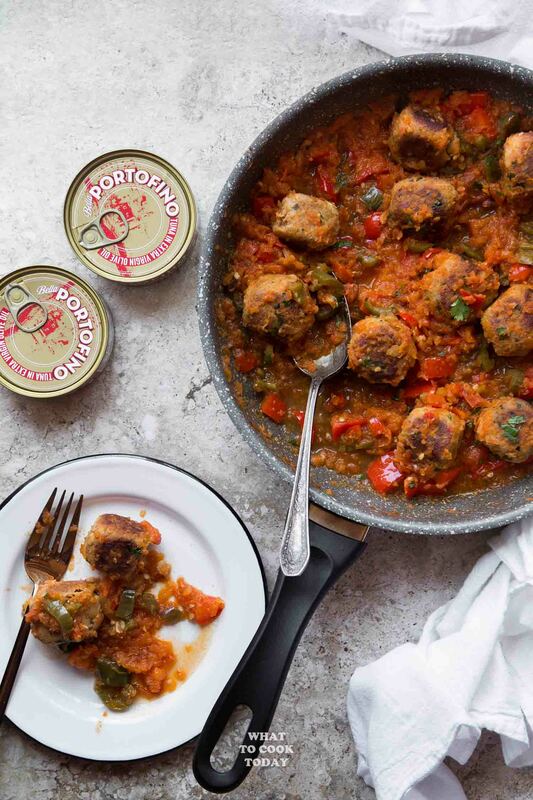 I am thrilled to partner up with Bella Portofino Tuna to bring you this one-pan tuna meatballs in green chile tomato sauce recipe. Meatballs get lots of love in our house. 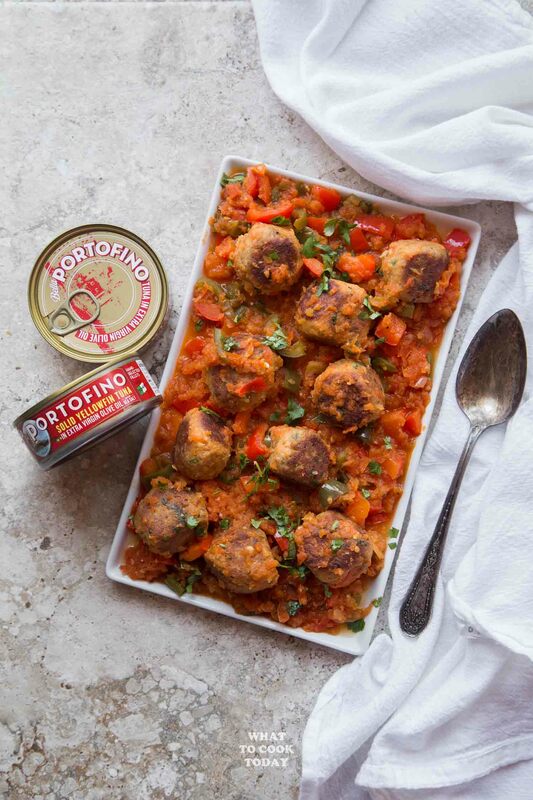 So when Bella Portofino reached out for a sponsorship to create recipe using their high-quality tuna packed in E.V.O.O., I immediately thought of tuna meatballs. 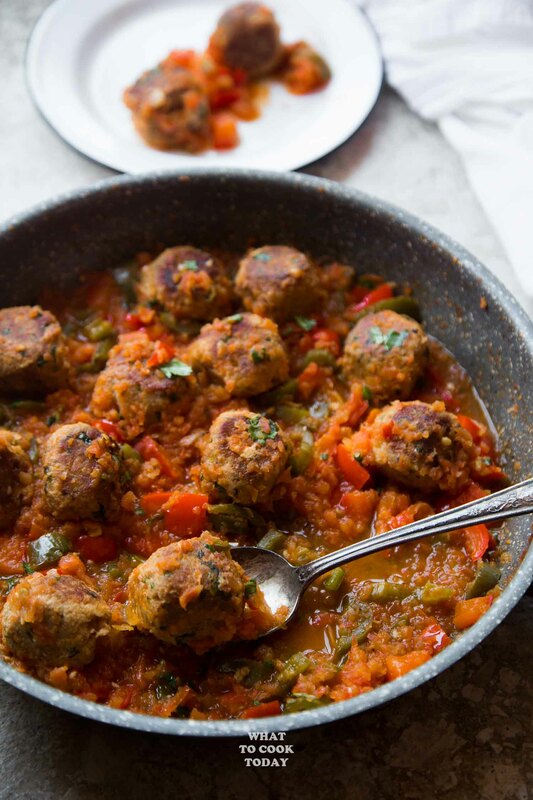 This one-pan tuna meatballs in green chile tomato sauce is one of our favorites. It’s one-pan and you get the family to eat tuna without them even noticing it! 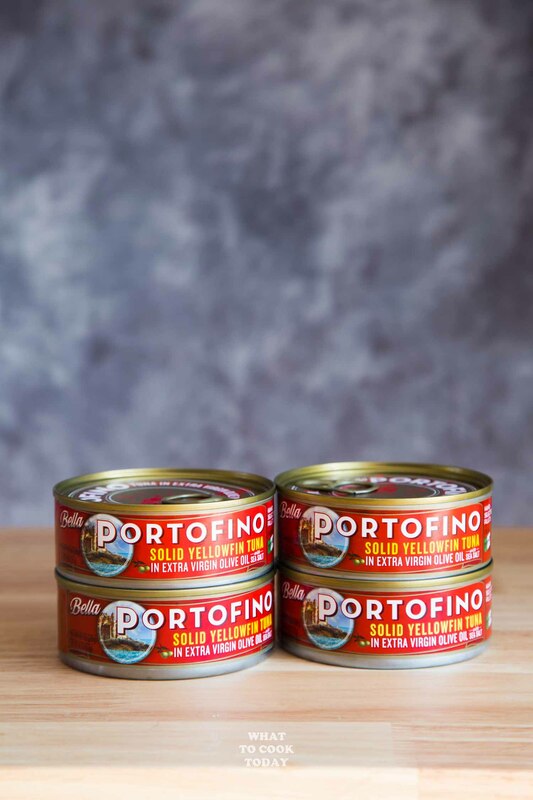 Have you tried Bella Portofino Tuna packed in E.V.O.O. yet? In case you haven’t, boy, I love how it tastes. The tuna fillet tastes so mellow and tender. My husband couldn’t even recognize the taste of tuna in the meatballs! He thought I was using something else. You only see wild-caught tuna, E.V.O.O., and sea salt. Simple as that, but it works! 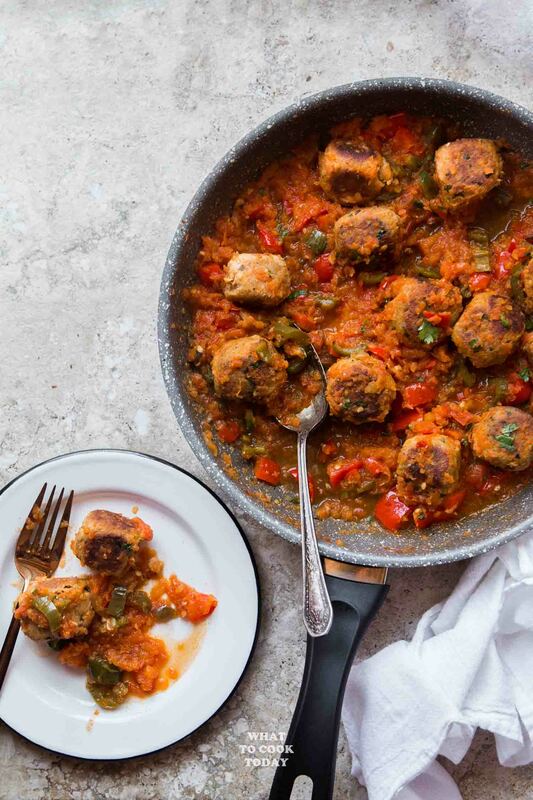 May is Mediterranean Diet month and this one-pan tuna meatballs in green chile tomato sauce fits right in. They are made with Bella Portofino Tuna packed in E.V.O.O. and the rustic green chile tomato sauce is made with fresh produce, which are the key components in the Mediterranean diet. ..or on a serving platter, you will discover those tuna meatballs disappear quickly. Bella Portofino‘s take on the old-world approach with flavor inspires me to think beyond just tuna salad. 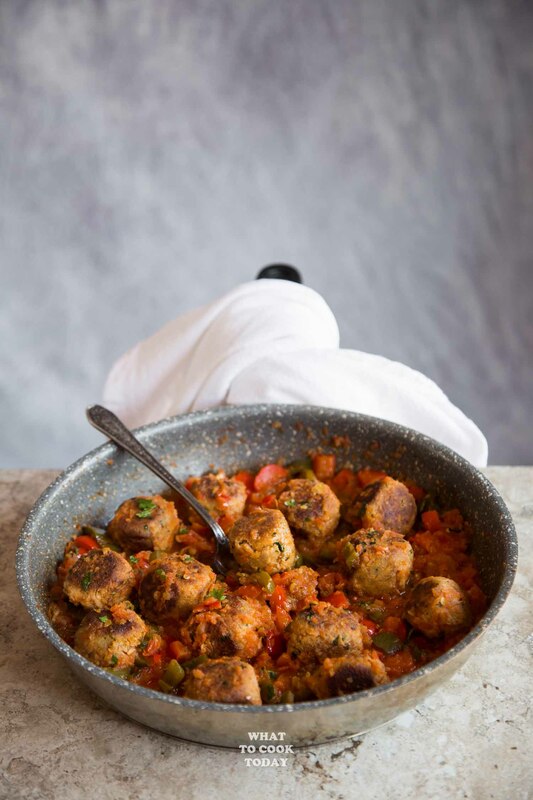 It is so perfect for making these tuna meatballs because of its tender texture. Such a simple change of using E.V.O.O. for the tuna really changes everything. Well, don’t just take my words for it, you should try it to know what I mean. Visit here for more recipe inspiration using Bella Portofino Tuna. You won’t regret it! 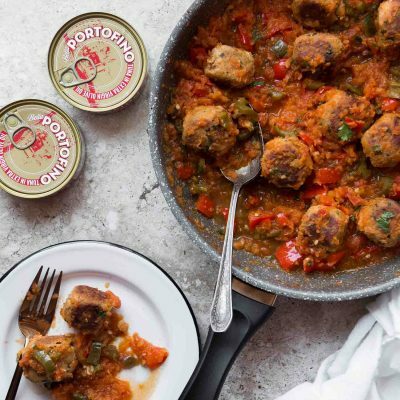 Here is a short video to show you how to make this One-pan Tuna Meatballs in Green Chile Tomato Sauce. 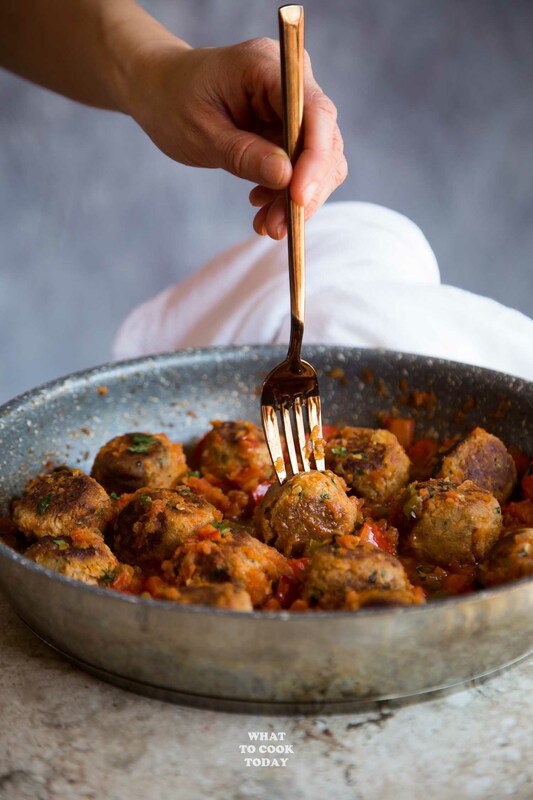 Not your ordinary tuna meatballs packed with amazing flavors and textures and served in rustic green chile tomato sauce all in one pan. This is a sponsored post written by me on behalf of Bella Portofino Tuna. I love tuna and what a great idea to make meatballs, then to put them in a green chile sauce just makes this dish over the top. This is a must try recipe. These pictures are good enough to eat! So pretty and so tasty! What an interesting and healthy meal – love the use of macadamia nuts. Can’t wait to try this recipe! 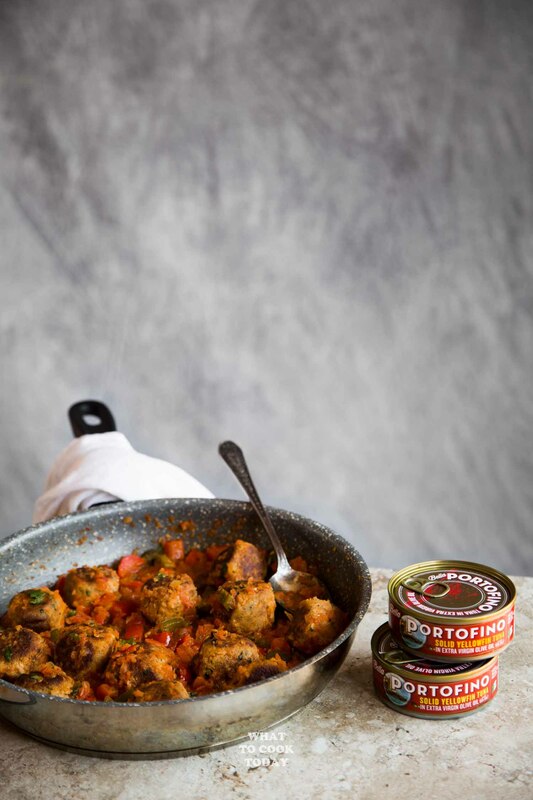 I love tuna but never thought of making tuna meatballs. This recipe sounds and looks tasty, will have to try it! I never thought of making tuna meatballs! It’s such a brilliant idea! So creative and looks absolutely delicious! How interesting, I have never thought about making meatballs with canned tuna. But as I love canned tuna (I sometimes find myself eating it plain straight from the can, not even bread is necessary), I am sure I would love these.